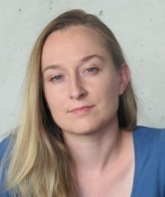 Dominika Zgid is an Assistant Professor in the Department of Chemistry. Her group bridges the fields of chemistry, physics and material sciences seeking to explain and predict the electronic movement in finite molecular systems and infinite crystalline materials. They develop new theoretical approaches that will advance current theoretical tools in chemistry that can be applied to a variety of industrial applications.